vTiger CRM is one of the branches of customer relationship management open source platform. As it name vTiger CRM, stand for delivering emerging functionalities for customer support system that make it easier for execution and use. 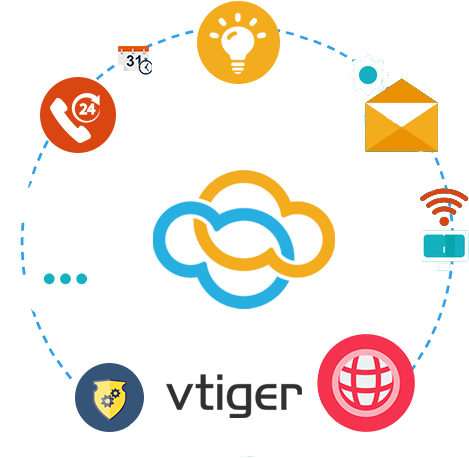 To have successful online business strong customer support system vital and it is serenely available with leading name of the industry called VibidSoft. We work for vTiger development in a way that our offered solution fits in your business objectives as well as budget. We work on committed time-scale to gain trust of clients for on-time delivery of project. We definitely work for development of vTiger CRM; however, along with that we are involved in offering migration and maintenance service as well.